Play golf in the US and watch The Players Championship at the same time! 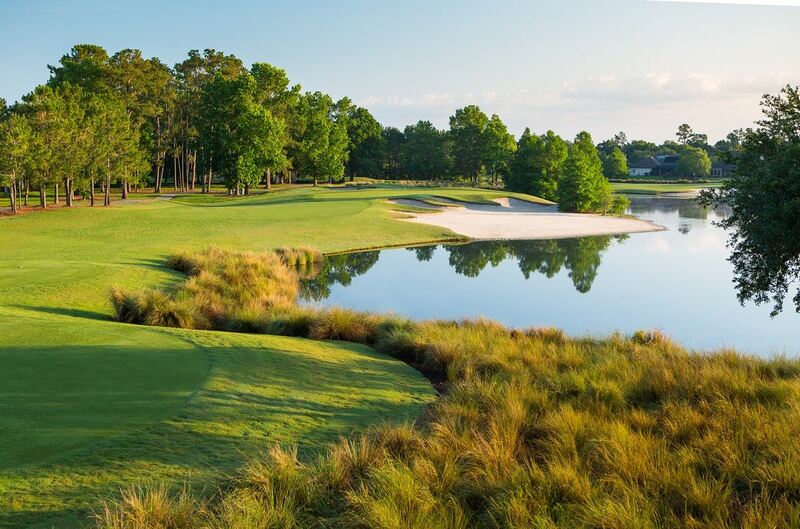 Kick off this unique Florida golf adventure with the Hall of Fame Challenge at World Gofl Village. 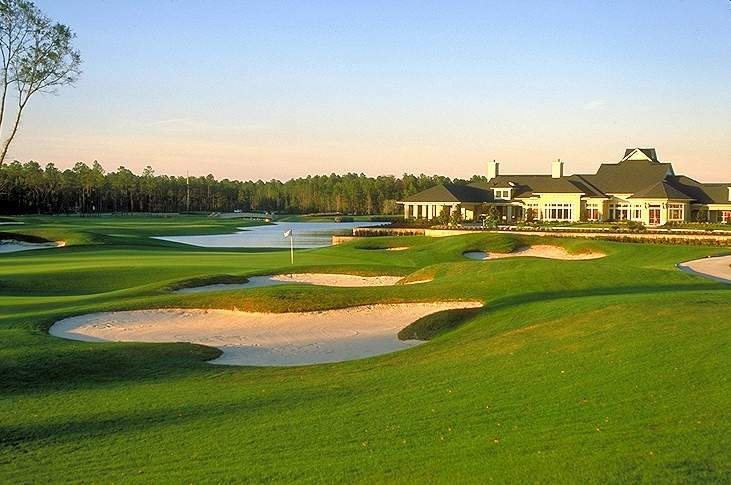 This 18-hole, 6,939-yard course was designed by architect Bobby Weed along with World Golf Hall of Fame Members, Sam Snead (the “Slammer”) and Gene Sarazen,(the “Squire”). The three men shared a desire to build a golf course that would preserve the area’s natural beauty and reward good shot making….and that’s just what they did. 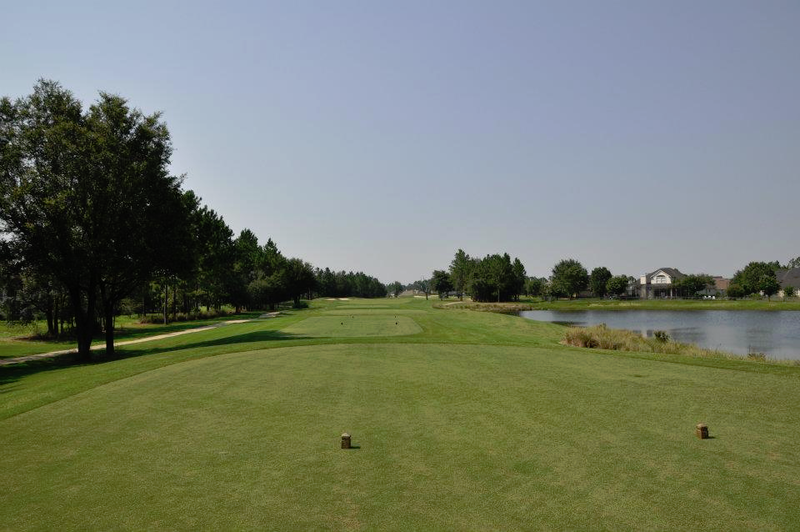 This well-groomed course showcases the pristine, unspoiled wooded areas, wetlands and natural beauty of the region. It is relatively wide open with several contoured greens and impressive views of the World Golf Hall of Fame. 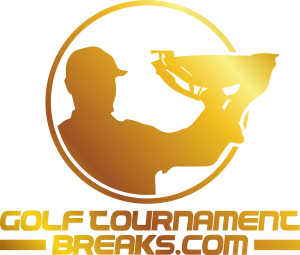 Walk with Rory, Bubba, Martin, Jordan, Rickie or Jason and enjoy the amazing atmosphere of one of the most prestigious tournaments of the season. 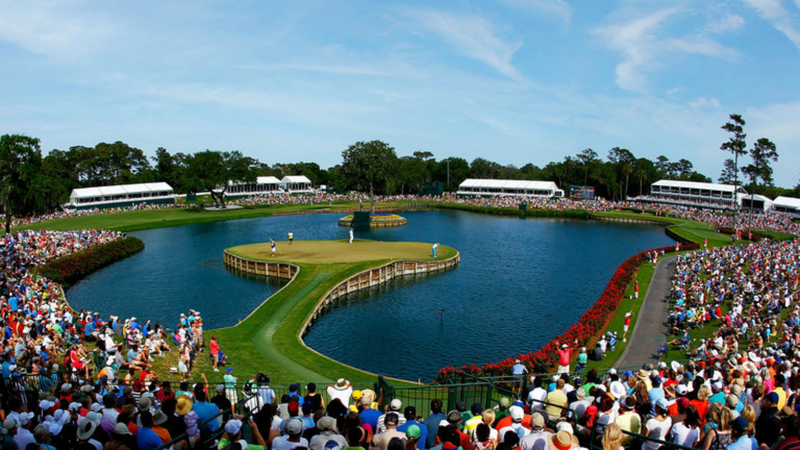 Watch the best players in the world challenge the iconic Par-3 Island Green. There aren’t many wedge shots that make the hands sweat quite like the one this week at No. 17. 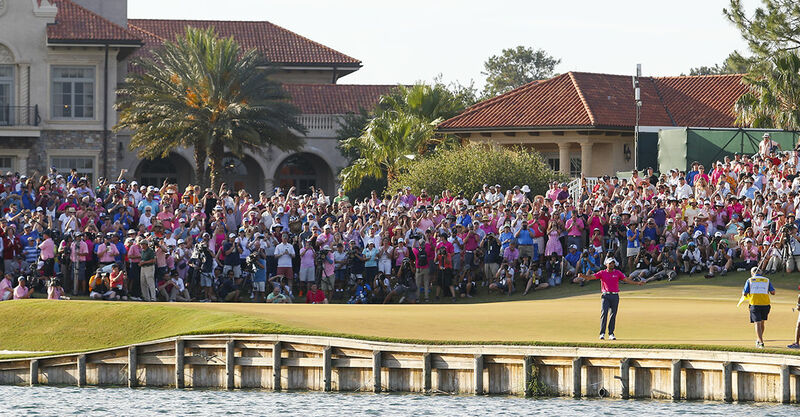 Witness the drama on #17 and watch the victory ceremony with the stunning TPC Sawgrass clubhouse as the backdrop.